The flowering trees that symbolize friendship between the United States and Japan are blooming for the 99th time in the District, in the wake of one of the world's worst natural disasters. Before the two-week National Cherry Blossom Festival opens Saturday, organizers held a fundraising walk and vigil Thursday evening among the trees for victims of Japan's March 11 earthquake and tsunami. An estimated 18,000 people have been killed in the disaster. Several hundred people gathered at the Washington Monument on a cold evening, some holding Japanese flags or signs of support. Japanese Ambassador Ichiro Fujisaki told the crowd that his country needs help. "Everything started on what I call 3/11 -- earthquake, tsunami and nuclear incident -- and we are still struggling," he said. "This is a very tough fight, but the consolation is people around the world are trying to be with us." Organizers with the National Cherry Blossom Festival said this year's event will hold a special meaning as they stand with those impacted by the Japan earthquake. Fujisaki said the U.S. sent one of the first rescue teams and military support. "Really, we need your assistance, and you're giving that to us," he said. After a gathering and moment of silence, the ambassador joined a crowd in walking to the cherry blossom trees along the Tidal Basin, holding glow sticks. Donation bins lined the sidewalk to benefit American Red Cross relief efforts. Toshiko Saidel of Rockville, Md., brought her three daughters to support the nation where she was born. "A lot of people are suffering right now," she said. "We just want them to know we support them." Seven-year-old Maya Saidel said she has started a toy drive at her suburban Maryland school for students to support children in Japan. "I'm guessing there's going to be a lot of toys," she said, adding that she will ask for more donations Friday during morning announcements at school. D.C. Delegate Eleanor Holmes Norton said the cherry blossoms will be a reminder of Japan's resiliency. "This year, the cherry blossoms will remind the world to stand for Japan," Norton said. She said the Cherry Blossom Festival also will help garner support. "It's important that we're taking time to reflect," said festival director Diana Mayhew. The celebration is a symbol of spring each year and now of the rebirth and rebuilding for Japan, she said. "Our relationship with Japan is at the heart," she said. Fujisaki told The Associated Press he is grateful for such support from U.S. residents, though he declined to ask for further donations. It's too soon to know how Japan will pay to rebuild the country as the government is still focused on search and rescue, basic human needs and its nuclear reactors, he said. "I am very grateful that American people are voluntarily extending their hands," Fujisaki said. "This is really an impressive show of goodwill." Contributions for relief efforts have lagged behind fundraising totals in the days after Haiti's earthquake and after Hurricane Katrina to this point, according to a tally by the Chronicle of Philanthropy. 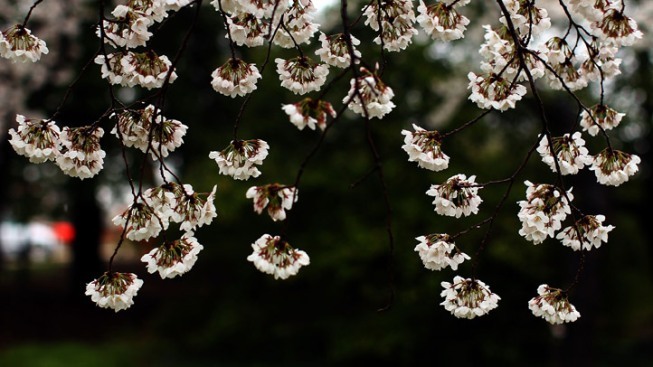 The cherry blossom tradition began with a gift of trees from Japan in 1912. Then-first lady Helen Taft and the wife of Japan's ambassador planted the first two trees. About 100 of the original 3,000 trees are still growing, while thousands of others have been replaced or grown from the original trees' genetic line. During World War II, the festival was suspended. Some trees were vandalized in those years, according to National Park Service records. After the war, the festival grew as Japan rebuilt and a Washington group was formed to stage the festival each year. 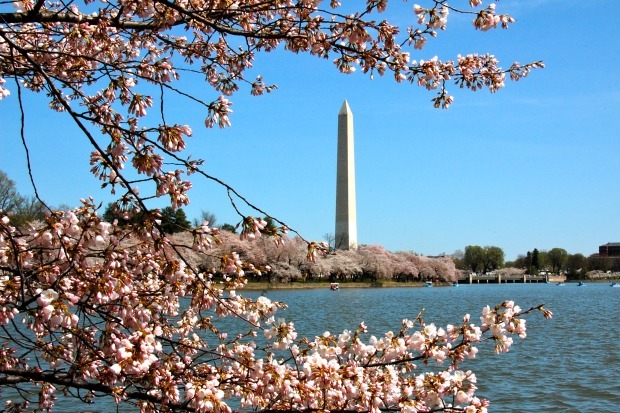 The Stand with Japan vigil begins at 6:30 p.m. Thursday on the Washington Monument grounds. Money raised will go to American Red Cross relief efforts. Festival sponsors Safeway and Macy's each announced $100,000 donations to the fund Wednesday.